TGIF! It’s been a long week, and I am thrilled it’s Friday! We host a huge Super Bowl party each year, so I’m well on my way to prepping for that. Before I sign off for the weekend, I wanted to not only give you a free cut file, but walk you through the steps to create it. 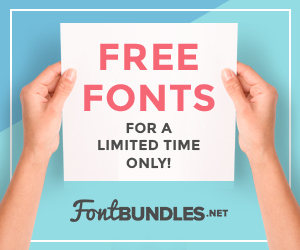 You’ll need Border Bits – a free font from Clever Someday and your favorite script font. Type the number 9 using the Border Bits font. It will display as a heart shape. Right click the heart and duplicate the heart two times for a total of 3 hearts. Drag one of the hearts to the center and make it bigger. Drag the next heart to the side and rotate it clockwise using the green dot on top. 4. Arrange the hearts as shown below so that they are all slightly overlapping. 5. Use the “Draw a Curve Shape” tool and draw a stemlike shape. 6. Drag the stem into place so that it is slightly overlapping the hearts. Fine tune any placement of your hearts or stem. 7. Select all shapes (“Edit” then “Select All”) and right click, then “Weld” them together. 8. Fill your shamrock shape with green. 9. Write the word “luck” in your favorite script or swirly font. If you have letters that overlap, be sure to weld the letters together. 10. Drag the word onto your shamrock shape and rotate it slightly to angle it. It’s okay for your word to be larger than the shamrock shape. 11. Select all the shapes. Go to “Object”, then “Modify”, and “Subtract”. This will subtract the text from the shamrock like shown below. 12. Group all shapes back together (right click, then “Group”). That’s it! You are ready to cut your newly designed shamrock! Don’t forget to save this post to Pinterest. If you don’t have time to design today, download the shamrock below. Thanks! I will definitely give this a try. Enjoy your Super Bowl Party! I really love the button made with the design. I’ve been thinking about getting a button making machine and this design would be perfect to use. Awesome! They are so fun to use!